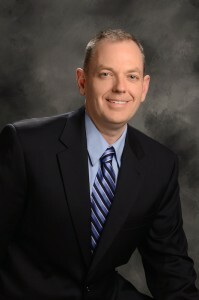 Bruce A. Berry is Partner of Business Advisory Services at Whalen & Company, CPAs. He consults with clients on succession planning and exit strategies, key performance indicators, dashboard reporting, profit enhancement, cash flow improvement, and business acquisitions and growth. Bruce has more than 25 years of experience in the accounting industry and has spent more than 20 of those years with Whalen & Company. Bruce has worked with a variety of clients in industries including retail, restaurants, distribution, professional services, real estate, nonprofits and manufacturing. Bruce specializes in financial statement analysis, working with quick-serve franchise owner/operators, business consulting, business and individual taxation, accounting software selection, and tax credit planning. Bruce has a bachelor’s degree in accounting from the University of Dayton. He is a Certified Public Accountant and a member of the Ohio Society of Certified Public Accountants and the American Institute of Certified Public Accountants.